The future of healthcare depends on honest communication and effective collaboration from everyone, from the smallest startup to the largest corporation. Each of us has a part to play, and we all deserve to share our ideas on how to improve humanity’s wellbeing and health. This is why networking is so vital. With so many key players under one roof, you deserve the simplest way to meet and talk with them. Meeting the right person can accelerate your business, give you a new partner or help you close a deal. Upgraded Life Festival is the perfect size to meet your future partner, investor or client. We want to help you meet these important people, which is why we’re pleased to be part of this great event for the fourth year in a row. 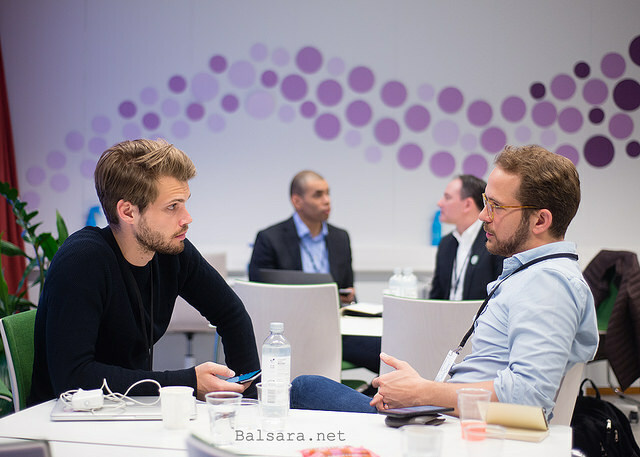 Brella is an event networking tool that makes it simple to meet the right people and have a personal, 1-on-1 discussion with them. Now you can find the best people, book meetings with them and plan your event schedule to make the most of your time. Last year, over 600 meetings were booked using Brella – an amazing number! This year, we want to smash that record. Brella makes your networking simple. You can log in either on your web browser or download our mobile app. After creating a short profile and choosing your interests, our algorithm offers your best matches. Once you’ve found a good match, booking a meeting takes only a few clicks. The meeting times fit around the event schedule, so you won’t miss any valuable content. We’ll also give you a meeting table so you don’t have to worry about deciding where to meet. You can use our chat function to discuss an agenda with your match and get to know them better. All that’s left is to show up to the event, ready for success. See you at Upgraded Life Festival on May 31st – June 1st!